"Teloschistes Flavicans" , The very rare golden-hair lichen is of bright orange-yellow colour . A striking 'fruticose' or 'shrubby' tufted lichen , attached to the rock only at one point. 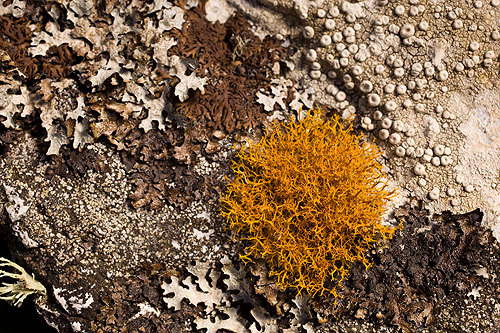 The most pollution-sensitive lichen, grows on Ramsey and Skomer Islands.